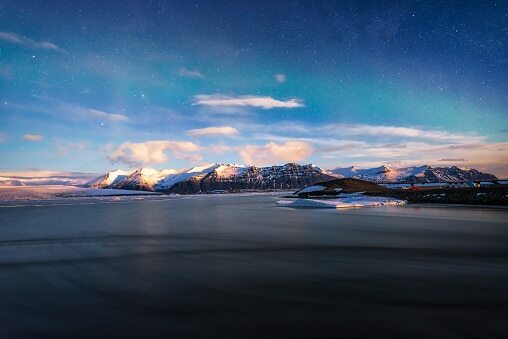 To these basic truths we can add two more: One of the best places on Earth to experience the aurora is Iceland. And there’s no better way to do it than staying in a remote hotel or lodge, stepping out of your comfortable room and immediately encountering a vast, luminous curtain of green, blue, red and purple undulating above the Arctic Circle. Since our first trip to Iceland back in 2003, TravelQuest has brought hundreds of adventurous travelers to this rugged island in the North Atlantic, sharing its rich culture and haunting natural beauty – and, of course, finding the ideal spots to view the elusive northern lights. Now we’re heading back in October 2018 with a unique, new Iceland experience exploring two of the tiny country’s most fascinating areas. Starting and ending in historic Reykjavik, our 11-day itinerary connects the seldom-visited Great North region with the stunning Westfjords peninsula, whose ragged coastline is sliced by dozens of deep inlets overlooked by mountain peaks. The magic of the aurora borealis and the breathtaking beauty of Iceland – ideal ingredients for a once-in-a-lifetime adventure. Start making your plans now. Some of our travelers share their experiences from this tour.